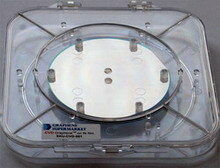 Graphene film is continuous with occasional holes and cracks. 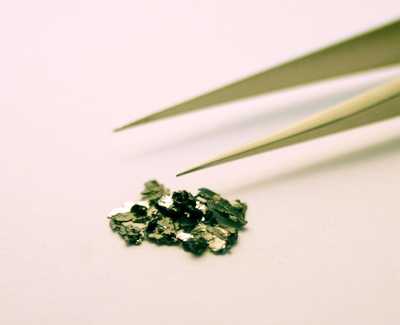 Graphene film is polycrystalline, i.e. it consists of grains with different crystallographic orientation. 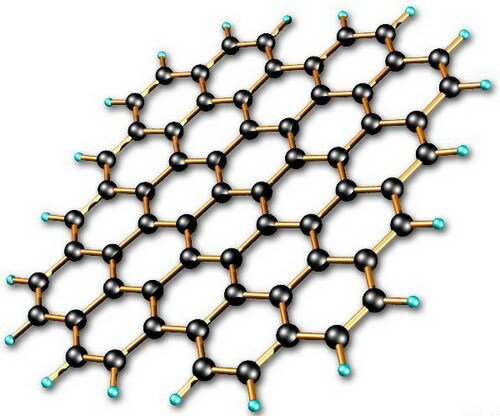 The graphene film is continuous, with occasional holes and cracks. The graphene film is polycrystalline, i.e. it consists of grains with different crystallographic orientation. 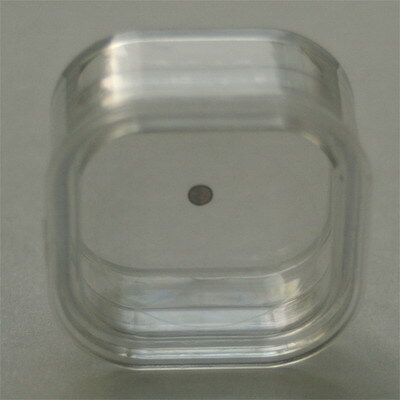 Monolayer Graphene on Glass: 2"x2", Sample Size: 2"x 2"
Monolayer Graphene on PET: 2"x2", Sample Size: 2"x 2"
We offer multilayer graphene films that are about 300 monolayers (105 nm) thick on average. These graphene films are grown on nickel foil and continuous across nickel surface steps and grain boundaries. 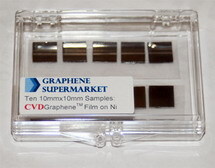 Trial pack: 10 CVDGraphene TEM Grids 5/5 5 CVD Graphene film deposited on lacey carbon TEM grids (300 Mesh) and 5 CVD Graphene film deposited on Copper TEM grids (2000 Mesh). 3D Monolayer Graphene Film on Copper Foam, 2"x4"
Average Particle (lateral) size: ~10 microns. Average Particle (lateral) size: ~ 550 nm (150-3000) nm.? Average Particle (lateral) size: ~ 4500 nm (1500-10000) nm. Particle (lateral) size: ~ 3-7 microns. Average Particle (lateral) size: ~ 5-25 microns. 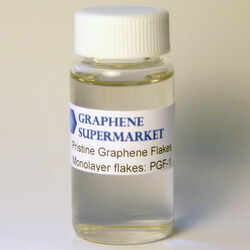 单层石墨烯溶液 Pristine Graphene Monolayer Flakes (50 ml) Dispersion in ethanol. Average Particle (lateral) size: ~ 550 nm (150-3000) nm. 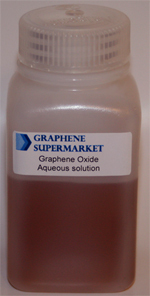 Graphene oxide disperses readily in water and other solvents, breaking up into macroscopic flakes, mostly one layer thick. 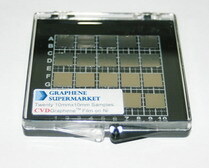 Graphene oxide layers are about 1.1 ± 0.2 nm thick. Improved solubility in organic solvents? 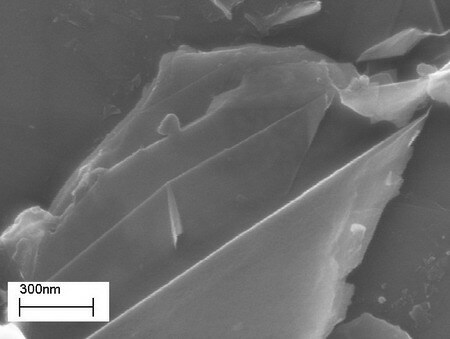 Graphene Flakes prepared by sonication assisted dispersion.